Planning a wedding, function or sports event? This service provides an analysis of the typical weather conditions on that date, as well as recent observations. 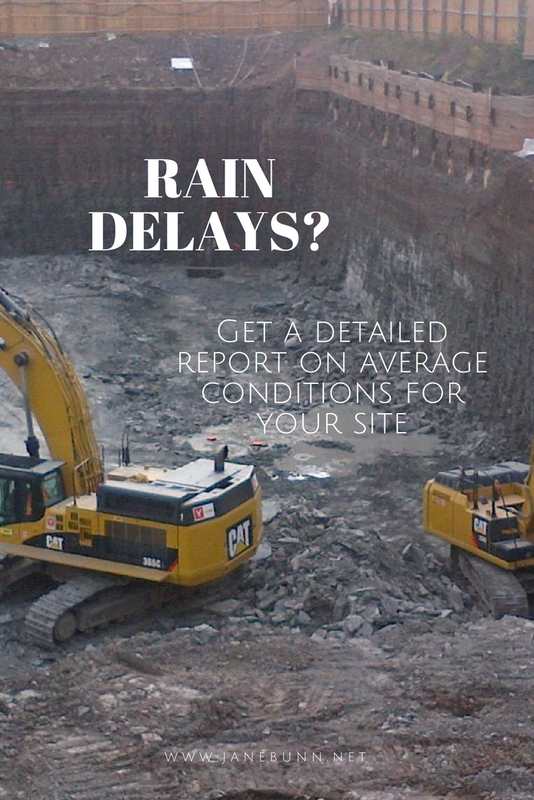 I can analyse average conditions for your site and time period, to help you gauge delays and make decisions. A detailed report on rainfall totals, hours of sunshine, typical wind direction and speed, tailored for you. Let me know what information you need for a quote. I will analyse your individual situation and get back to you soon.